Placed under a down spout, rain barrels conveniently collect rainwater that can be used to water gardens and lawns, wash cars or even fill birdbaths and ponds. A 1000 square foot roof yields about 600 gallons per inch of rainfall – that’s a lot of water (and money) to be saved. Rain barrels can also be hooked up to a soaker hose for easy and free garden watering. In coastal areas, additional benefits include diverting of water from municipal storm drain systems and protecting the ocean from storm runoff pollution. Installation can be very easy, placing the barrel under your gutter’s down spout. Conversion kits also offer a diverter system which eliminates the need for cutting off gutter downspouts or installing over-flow valves, and eliminates potential for mosquito breeding. Most cities offer rain barrels for sale at a discount. Check out your local city website to see if they offer a similar program. Pinterest in spanish – ¡Qué Pinteresante! Gracias a los esfuerzos de nuestro equipo de traductores, tenemos el placer de anunciar que esta semana presentaremos Pinterest en español de América Latina. Si hablas español y no encuentras tu cuenta de Pinterest en español cuando inicies sesión, no te preocupes. Esta semana implementaremos el soporte multilingüe. La implementación será gradual, de manera que posiblemente algunos usuarios obtendrán la versión en español antes que otros. Si en una semana todavía no ves tu cuenta de Pinterest en español, haz clic en “Configuración”, en la esquina superior derecha de la página debajo de tu nombre. 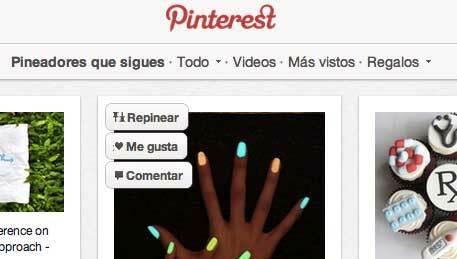 Continue reading Pinterest in spanish – ¡Qué Pinteresante! Posted on June 28, 2012 Author robotchampionCategories defaultTags america, blog, espanol, language, latin america, pinteresante, pinterest, spanishLeave a comment on Pinterest in spanish – ¡Qué Pinteresante! Government leaders, bankers and corporate CEOs took advantage of the gathering of 50,000 people at Rio+20 — the largest meeting in U.N. history — to announce new partnerships, programs and investments. To some of those present, the conference presented a new model, a global gathering to inspire government and corporate leaders and others to move ahead and build momentum — rather than waiting for world leaders to reach consensus on a treaty to address climate change or other environmental matters. 1942: Roosevelt establishes wage and price controls during World War II. Businesses can’t attract workers with higher pay so they compete through added benefits, including health insurance, which grows into a workplace perk. Keep reading – Healthcare reform’s long history in the U.S.
What is Machinima and why do I need to know about it? If not for Machinima, you might be unaware that gamers are terrified of zombies and Return of the Jedi, when you really think about it, has a lot of plot holes. At this point, most of you are probably wondering: What is Machinima? An online programming company boasting a fanatical following among young males and a staggering 149 million unique users, last month Machinima’s videos were viewed 1.3 billion times (that’s billion, with a “b”). Across YouTube and other online destinations, Machinima claims a total of 101 million subscribers. To put those numbers in perspective, the CBS TV network has about 350,000 subscribers on YouTube and in six years has earned about 1.2 billion views for its online content (compared to 1.3 billion last month for Machinima). Machinima (pronounced mah-SHIN-eh-mah) is one of a handful of players building massive media companies off Web programming. Continue reading What is Machinima and why do I need to know about it? Posted on June 27, 2012 Author robotchampionCategories defaultTags 3D, animation, billion, cbs tv, cinematic, computer, content, digital, engines, gaming, graphics, machinima, mah-shin-eh-ma, media, programming, rendering, return of the jedi, star wars, super mario bros, video, video game, videos, web, youtube, zombiesLeave a comment on What is Machinima and why do I need to know about it? Celebrating over 50 years of conservation success in Africa, this video highlights the range of unique approaches and diverse landscapes in three of the African Wildlife Foundation’s Heartlands: Maasai Steppe, Kazungula, and Congo. All footage was exclusively filmed on location in each Heartland by AWF VP for Philanthropy and Marketing, Craig R. Sholley, and Director of Marketing, John Butler, with all video post-production managed in-house with special assistance from Dawne Langford.